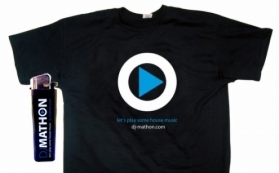 Mathon grew up in southern Holland where, in the early nineties, he developed his passion for dance music. Starting out as an early adopter of the genre, his passion became an obsession. He felt obligated to share this feeling with others and turned to deejaying with one main goal: entertaining people with the best beats around. The choice he made at that time turned out to be the one of a lifetime.